After Gilbert & George’s performance there was also the chance for some audience participation. All the diners, who ranged from the legendary curator Rudi Fuchs and the patron extraordinaire Maya Hoffmann to the comedian David Walliams and the author and anti-bullying activist Monica Lewinsky—the latter thankfully seated far away from the Fuckosophy sign “President Fuckabe”—were requested to don their specially provided individual Gilbert & George cardboard beards and raise their glasses in a final toast. 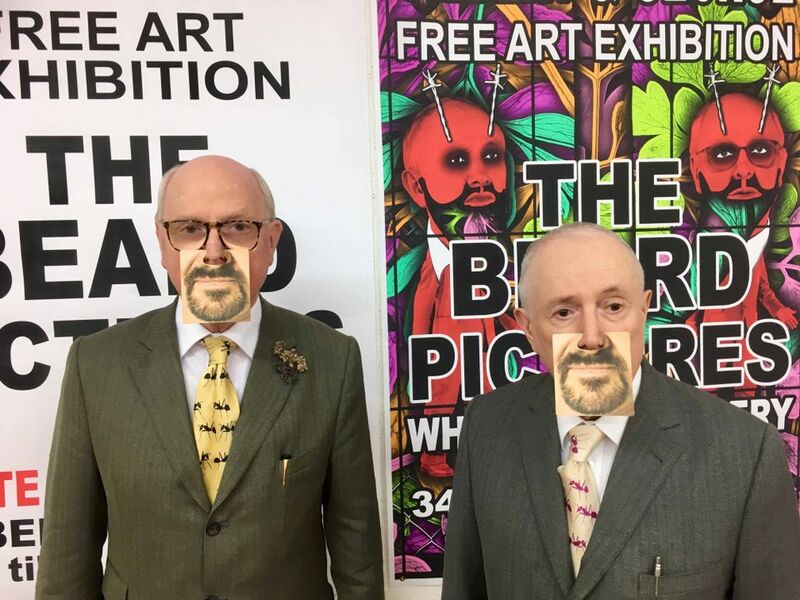 However, with typical Gilbert & George perversity, any form of drinking was rendered impossible whilst wearing their customised face furniture, so everyone resorted to taking selfies instead.